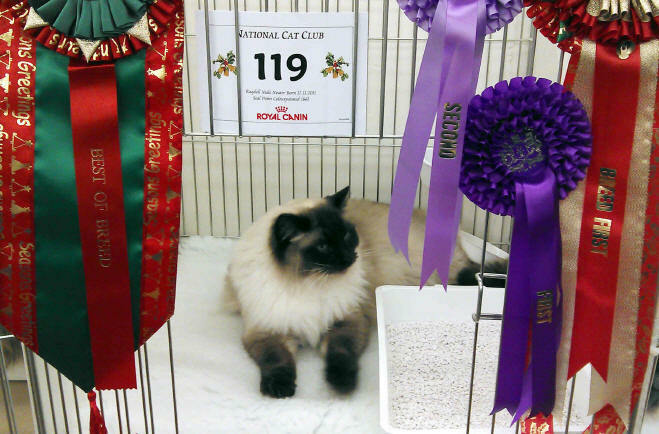 Gained her first CC at the National Cat Club Show on 8th December 2018. She went on to win two further CC's at the Capital Longhair and the Eastern Long Hair and Semi Long Hair Cat Show on 5th Jan 2019, making her a Champion, in three consecutive shows, at the tender age of ten months. Daisy was awarded 2 Grand Certificates at the Croydon and Southern Counties show on 9th February, 2019. 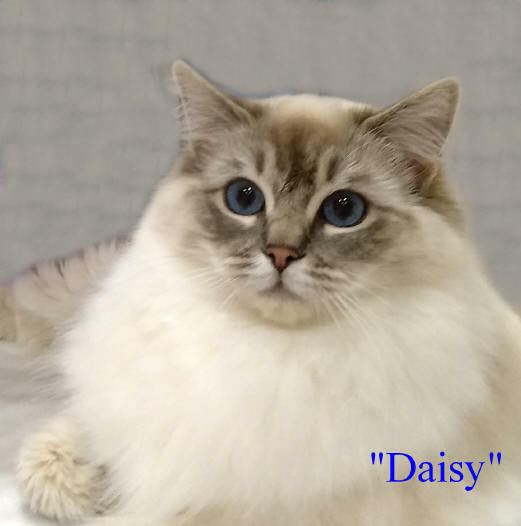 On 30th March at the Cambridgeshire and Bucks, Oxon and Berks Shows, Daisy went on to be awarded 2 further Grand Certificates, 2 Best of Breed, plus first place in each of her side classes. This made her a Grand Champion at under 14 months of age. Won first in her class and gained her first CC at the Maidstone and Medway Show on 10th Dec 2016. 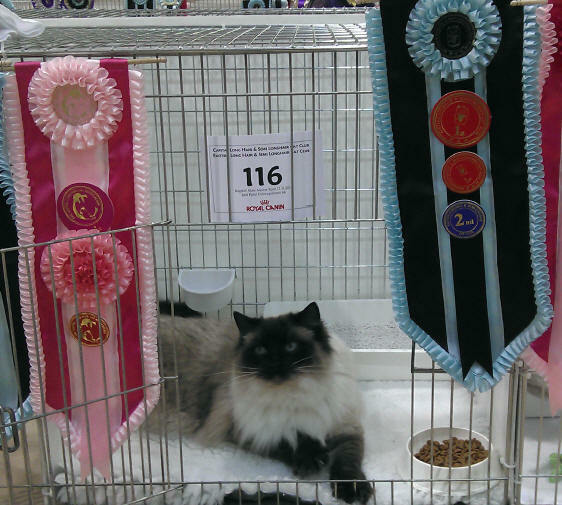 Truffle went on to win first in her class and gained 2 further CC's at The Capital Long Hair Cat Association and Eastern Longhair and Semi Longhair Cat Club joint show on 7th January 2017. She now has the title of Champion - well done Truffle. 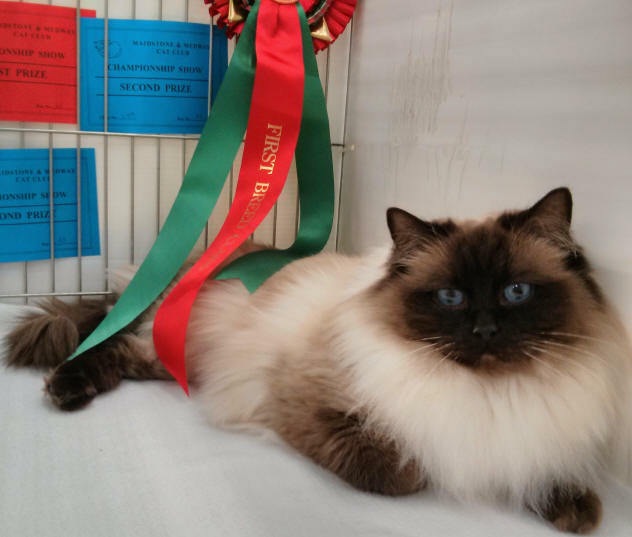 We are proud to announce that The British Ragdoll Cat club awarded Zen the Carondra Rheevah trophy for Best Overall Seal Colourpoint Neuter for the 2012 show year.